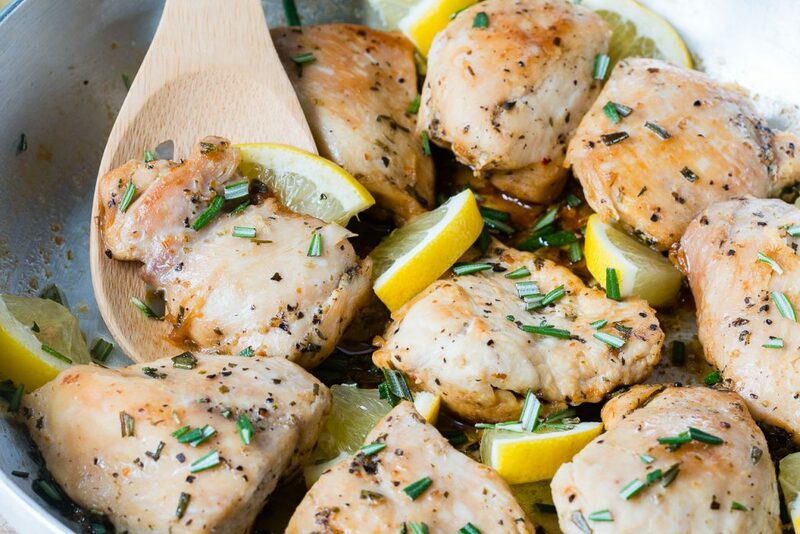 Try these Clean Eating Lemon Garlic Chicken Thighs for Dinner Tonight! Heat a large skillet over med-high heat and add the oil. 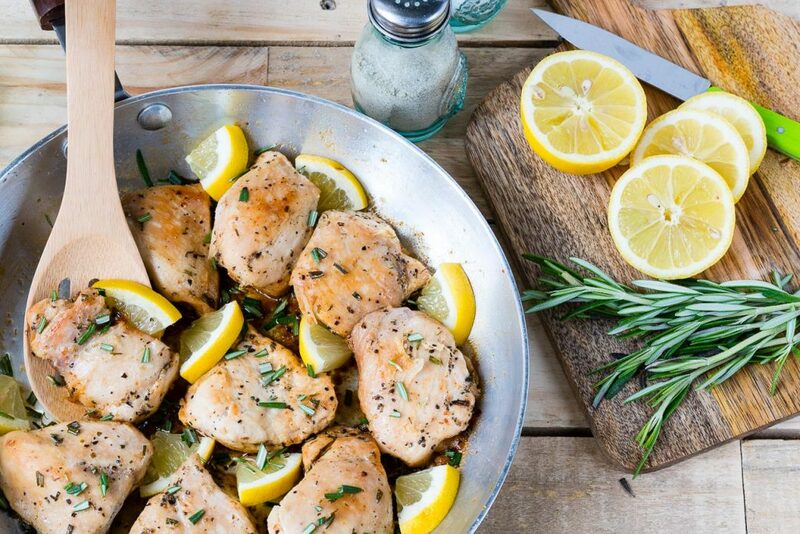 Sprinkle the chicken on both sides with sea salt and pepper. Allow the first side to cook about 4-5 minutes or until nicely browned, then flip and cook the second side for the same amount of time, until browned and just cooked through. 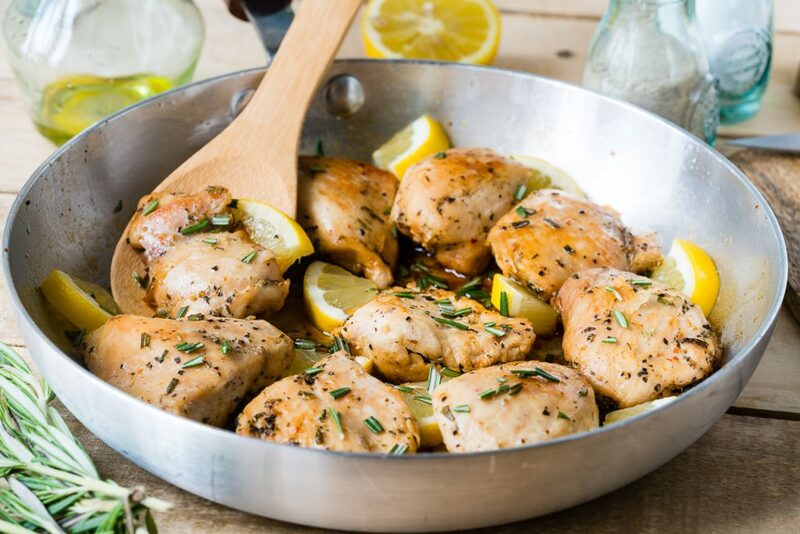 Remove the chicken pieces from the skillet onto a cutting board or plate and lower the heat to low. Add the broth, lemon juice, garlic and stir, scraping up any browned chicken bits. Allow the sauce to cook/simmer for about a minute or two until thickened, then add the chicken back into the pan. 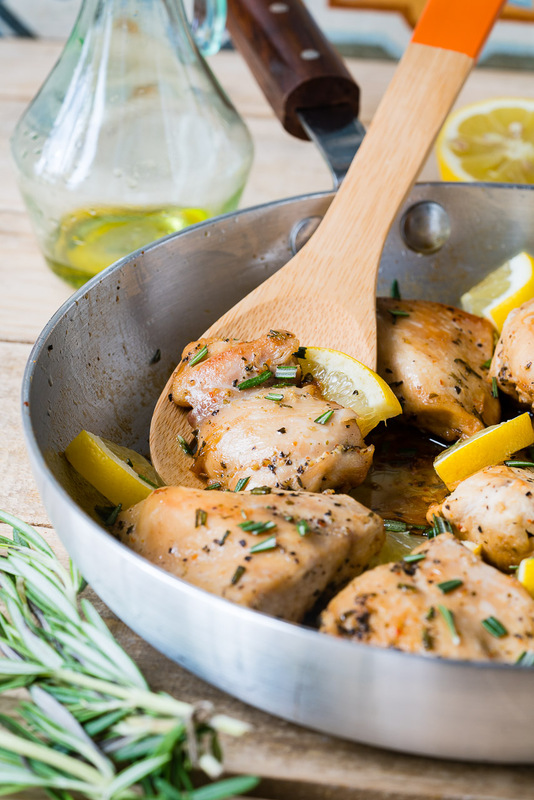 Flip the chicken in the pan to gently coat with the sauce and add the rosemary. Cook for one more minute, then remove from heat and serve hot. Enjoy! 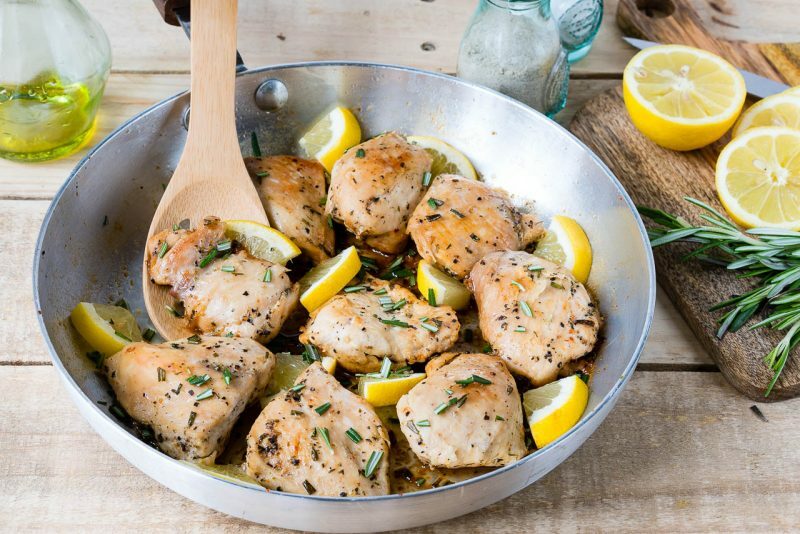 Once the skillet is hot, add each chicken piece to the skillet in a single layer.